This industrial cooling blower can be used to cool mass quantities of electrical equipment or parts from heat curing ovens and kilns in manufacturing facilities. It could also be used to cool down personnel, as general ventilation in a facility, or as a simple air circulator. This model is the most powerful blower of all our barrel & drum facility cooling fans. For something a little more economical, feel free to take a look at, and compare our 24" air cooling drum fan, our 36" portable barrel fan, and our 42" warehouse drum fan. 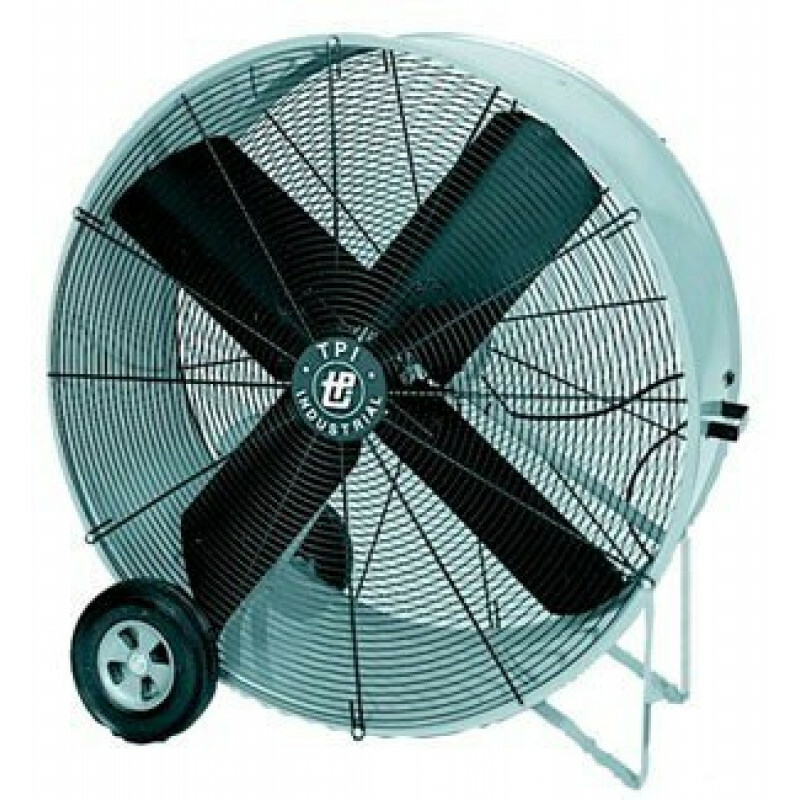 If you are in a manufacturing plant, and need industrial style fans, we offer discounts on multiple unit purchases. You can save quite a bit of money on this unit alone by purchasing 2 or more of them. This 48" industrial cooling fan does pull 15.0 amps, so you would have to run multiple fans off of separate circuits, unless your facility is specially wired. If you're looking for a 240 volt model for lower amp draws, please give us a call for special pricing. Industrial cooling is achieved with this fan by pushing 22,700 CFM of air volume. 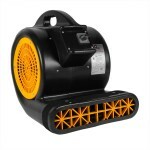 10" Hard rubber wheels making transporting this fan extremely easy. Permanently lubricated ball bearing motor for thousands of hours of industrial use. Meets OSHA standards, as well as being C-ETL-US approved, which means it is safety certified for sale in the United States, Canada, and several other countries. This is a review for the 48 inch Industrial Cooling Blower - 22,700 CFM.